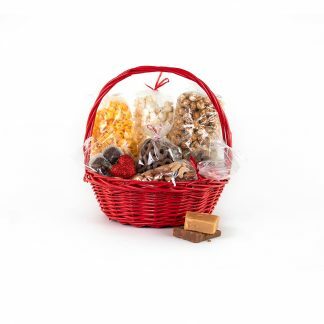 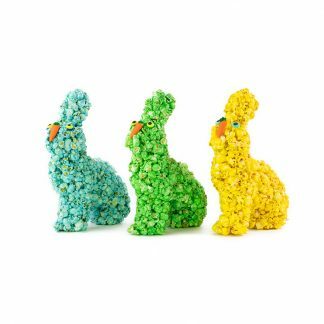 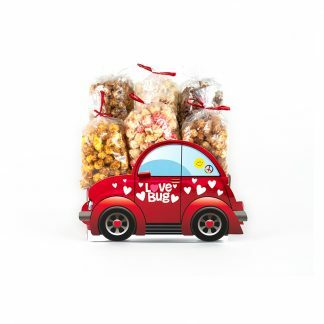 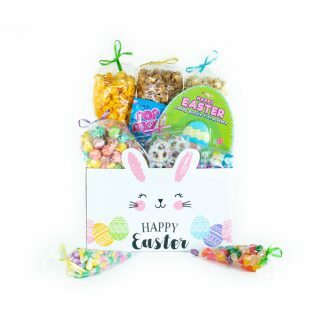  A Del’s exclusive, our signature basket is made with round willow, painted red and chock full of the best we offer; our famous caramel corn and cheese corn, white chocolate popcorn with Oreo pieces, frosted pretzels, chocolate caramels and double-dipped peanuts. 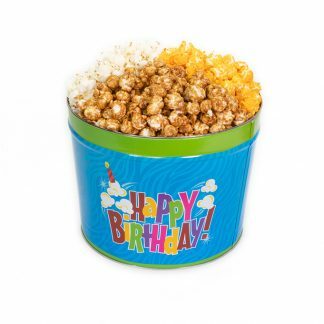 Contents: 8 oz. 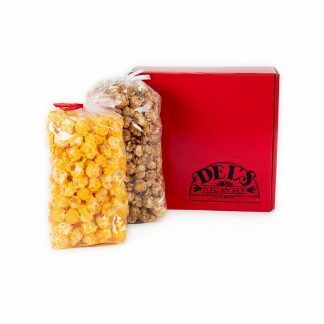 Caramel Corn, 3 oz. 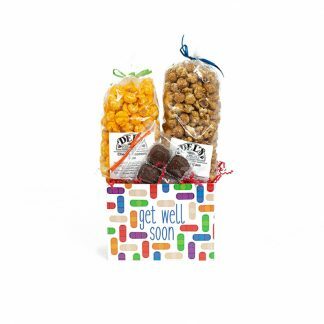 Cheese Corn, 4 oz. 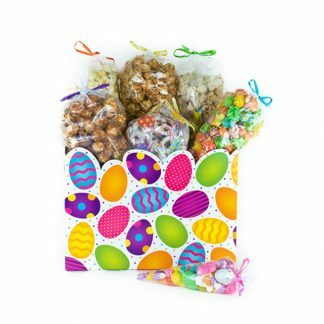 Cookies-n-Cream Popcorn, ¼ lb. 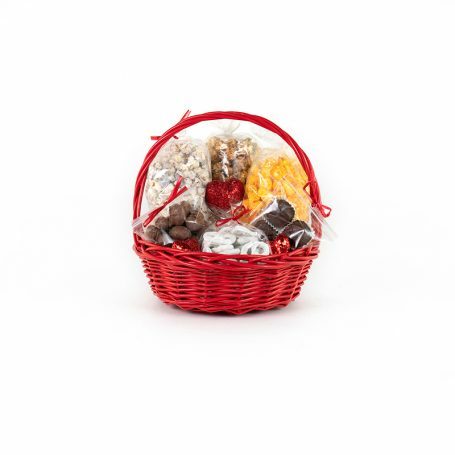 White Frosted Pretzels, 4 pieces Milk Chocolate Caramels and .25 lb. Double-Dipped Milk Chocolate Peanuts. 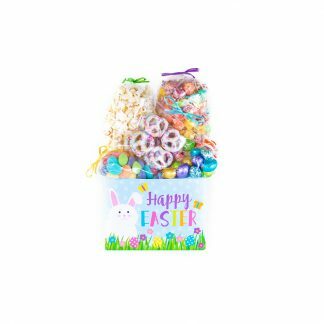 White Frosted Pretzels: White coating: sugar, palm kernel oil, non-fat milk powder, yogurt powder, artificial color, lactic acid, soy lecithin, vanillin, wheat flour, wheat starch, niacin, folic acid, salt, corn syrup, vegetable oil, sodium bicarbonate and yeast. 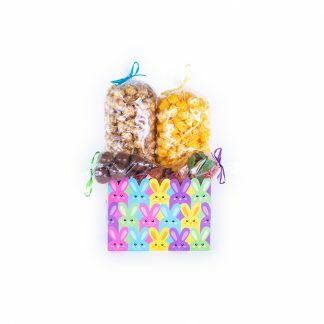 Contains milk, wheat, preservatives, artificial color and flavor, soy and peanuts.